Mental Health Awareness Month has a nearly 70-year history of informing the public about one of the biggest medical issues affecting the country. And while the mental health field has made great strides to destigmatize its services, the numbers prove that a trip to the therapist’s office is still out of reach for many patients in need of care. The Journal of the American Medical Association found that one-third of adults that screen positive for depression have never received treatment. While there are countless reasons why people skip making an appointment, part of the blame lies with lack of access to mental care. As of March 2012, nearly 91 million people live in a Mental Health Professional Shortage Area. These staggering numbers are backed by the U.S. Department of Health and Human Services, who estimate 55 percent of rural counties have no psychologists, psychiatrists or social workers. This is a problem that telehealth can help address. A study in the Journal of Clinical Psychiatry found that tele-psychiatry is just as effective as in-room psychotherapy regimes. Certainly for rural populations, telehealth is often the only way to access mental and behavioral health care, but for busy people on the go, getting an hour out of their week each week to talk to a therapist can also be difficult. If these patients could get the same benefits as an in-person appointment from the comfort of their own couch, it could give them the opportunity to access the care they need. 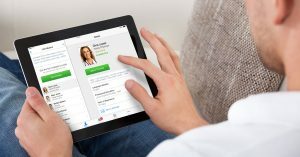 In addition to planned telehealth visits with a psychiatrist or psychologist, telemedicine for behavior health could help fill the critical psychiatric care gap at rural emergency departments. These patients are often admitted to the hospital and wait for a specialist, or are transferred to a regional facility where a specialist can address their needs. These unnecessary admissions and transfers are costly to hospitals and result in longer wait times for patients in need of immediate care. In a nation where one in five adults experience a mental health issue in a given year, addressing the mental health care gap is critical to providing the services these patients need. 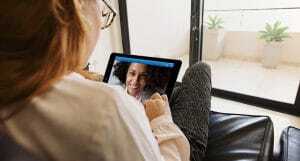 Whether these patients are in rural areas or are just having difficulty carving out time for an in-person visit, telehealth can provide a quick, easy-to-use solution to ensure they are getting the mental health services they need. 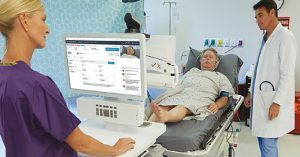 Avizia is empowering hospitals and health systems to offer tele-behavioral health consultations from mental health professionals to quickly deliver care to patients presenting in an emergency department or other medical settings. As a result, hospitals are lowering their costs while patients are gaining immediate access to better quality care.